Create a customized marketplace experience that works across all modern browsers and devices of all sizes. Plus control multiple settings for flexibility, customization, and design. You can choose to let sellers list items, variants, add shipping options and additional options such as gift wrapping. 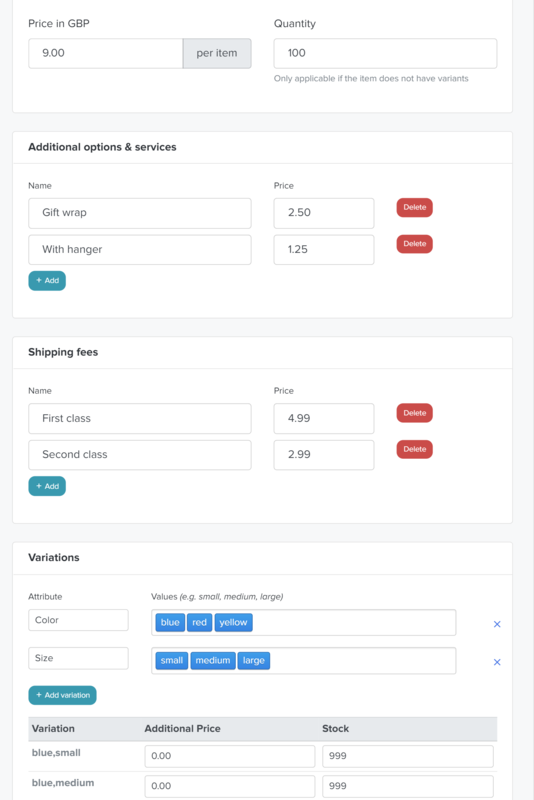 You can also enable variants or shipping options per category. e.g, a "Lawnmowers" may not need variants but "Clothing" would need variants such as size, color etc. Enter any custom field you want. e.g. bedrooms/bathrooms for houses, or kg for food. Users can filter by any of these fields as well as price, location, distance and category. Users can filter their search results by categories, price and any admin created fields. Sellers can set the location of their product. User can filter the area they want to search in and also sort search results by distance. Users can send direct messages to sellers for pre-sale questions or after-sale support. Sellers can also chose to accept or decline an order. Both buyers and sellers have an inbox where they can send an receive direct messages. Sellers can accept or decline orders and return the money to the buyer without your intervention. Plus MarketplaceKit also includes lots of other features needed by any online marketplace, from social login to user reviews. Cutting out the registration process increases the chances of users joining and participating in your marketplace. We've currently added Stripe and Paypal. Let us know of you want to use other payment methods. Create pages in different languages, change any text on your site and add any language you want. Easily add your google analytics code to monitor and measure your marketing efforts. Buyers can submit a rating and add a review. This gives confidence to other buyers when making their decision. You can add your own meta tags and we have an auto-generated sitemap.xml file. Your website is built for mobiles in mind and works in all modern brows of any size. And of course you have an admin panel to manage it all - pages, settings, listings.